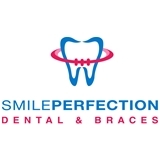 Smile Perfection Dental and Braces (Pembroke Pines) - Book Appointment Online! Smile confident; smile perfect at Smile Perfection Orthodontics in Pembroke Pines, Florida. Dr. Ricardo Chang proudly offers the most advanced comprehensive dental and orthodontic care for children, teens and adults. We recognize that each patient is different and promise to treat you as the unique individual you are. Your concerns are important to us and we listen! Dr. Chang will create a personalized treatment plan tailored to meet your individual needs and desires. We offer a full range of types of braces to meet your lifestyle needs, including: Invisalign Invisalign clear aligners provide a great alternative to traditional braces for adults. Comprised of a series of clear, removable aligners, Invisalign works hard to perfect your smile and twice as hard to keep others from noticing! Clear ceramic braces are ideal for patients seeking an aesthetic solution for braces.